It is apparent that choices are good for kids. Choices are good for adults as well. Place a mandate on me and I can get a little frustrated. Present me with options, and I am happy to get on board with an idea. The question is how far can educators release control and allow students to have a choice in how they show their learning. I allow choices throughout our school day. 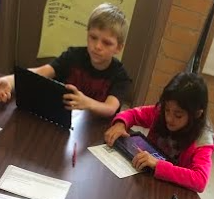 Students choose: to work in a small group or independently, which students they want in their small group, apps to work and create with on their iPads, different ways to read (digitally or not), what material they need to review, and much more. This past week, I allowed an additional choice. Usually when we read a novel, students complete projects on their iPads that corresponds to a skill or topic we have covered during the novel. In the past we have analyzed characters with thinking maps and explained a sequence of events and what event was the most significant. We have brought book characters to life by creating character Facebook pages. 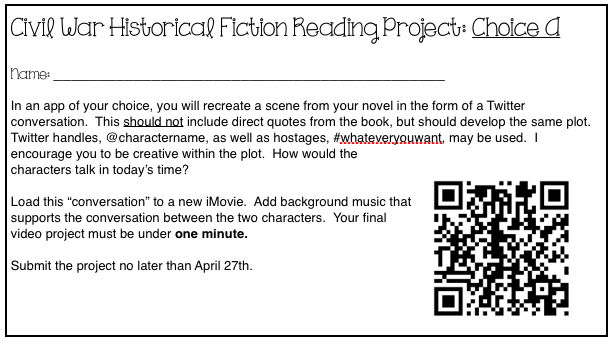 Since we have covered all 4th grade reading skills and apps, I thought it was time that students had a say in what type of project they wanted to do as well. 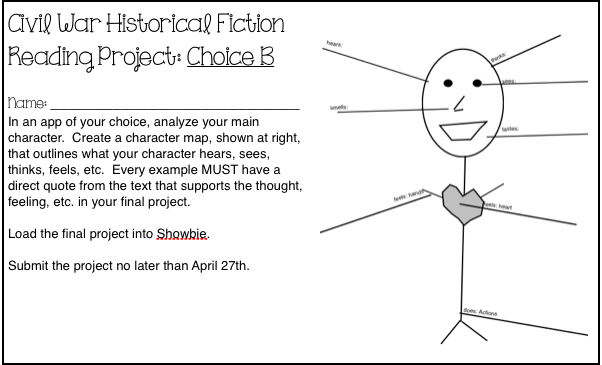 So for this novel study, students had a choice between three projects. The project rubrics can be found below. To begin, I described each project to students. Then, they chose what they wanted to complete. From there, I acted as a facilitator and suggested to students aspects that could enhance their projects. They could choose to add to their projects or get second opinions from peers. 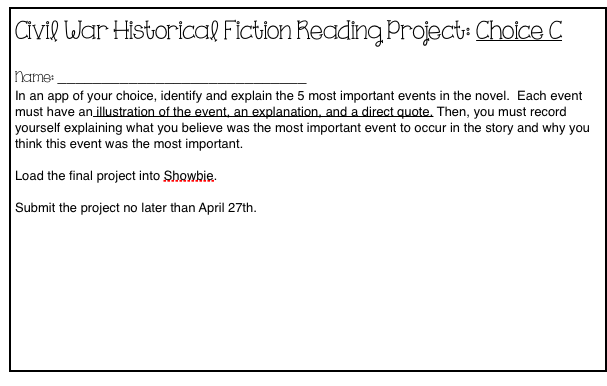 As an educator, this experience was successful because students displayed their comprehension of their novels transparently through projects.As a facilitator, this experience was successful because students were problem solving, collaborating, and creating.My students are very proud of the projects they created and are excited to share them with the world.